An illustrated map of the the area around Aleppo, including, as with almost all Syrian maps until recently, Hatay as well. 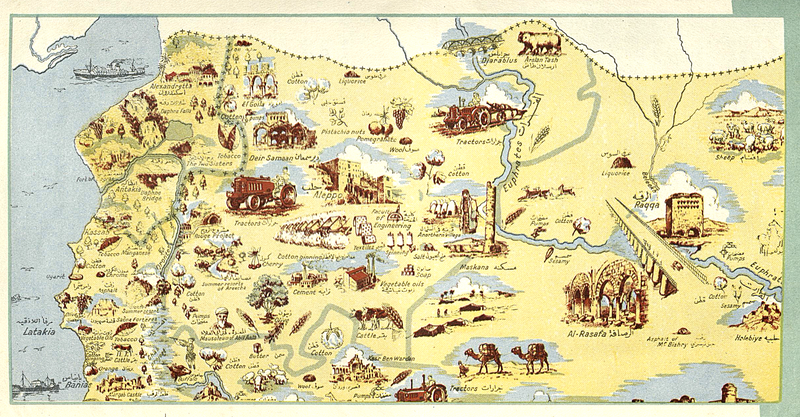 It features the same mix of agricultural, industry and tourist sites as other illustrated maps from the period, including everything from liquorice, cotton, cherries, sesamy, tractors, cement, vegetable oil buffalo and pumps to the tomb of Abil Aala and the Faculty of Engineering. This map turned up in a collection of 20th century tourist pamphlets owned by Paul Henze and sold to Second Story Books after his death. Henze traveled for work, serving, among other roles, as CIA station chief in Ankara and Addis Ababa. 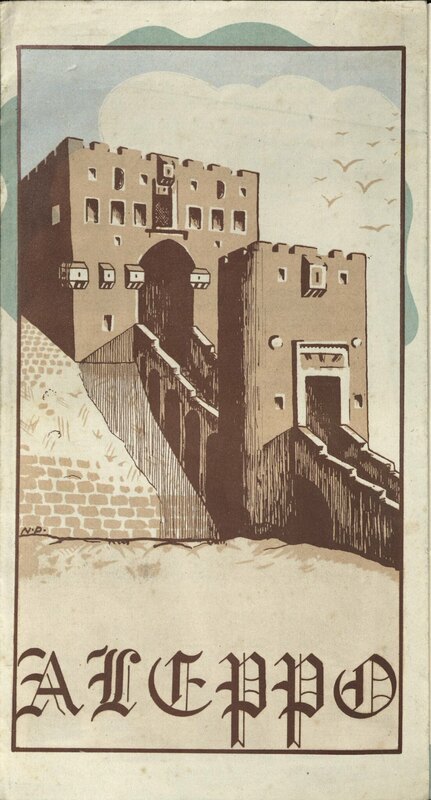 In addition to many of these pamphlets, his remarkable collection of antique travel books - covering the Middle East, Africa and Central Asia - is also on sale piecemeal (this being Second Story, at a good 100% markup over what these admittedly beautiful books would sell for online). For anyone with, say, a compulsive desire to buy old maps, thinking about this kind of collection being auctioned off at an estate sale and then resold serves as something of a memento mori. 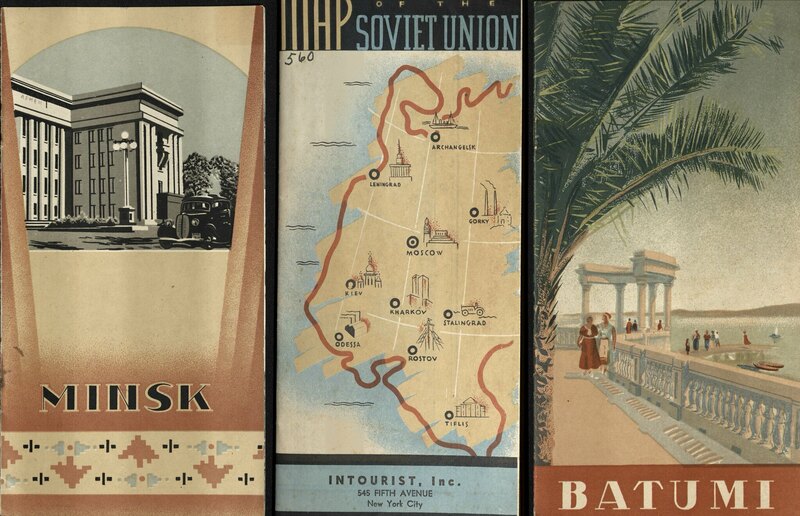 In any case, below are several other brochures for the Soviet Union produced by INTOURIST, the Soviet tourism agency. 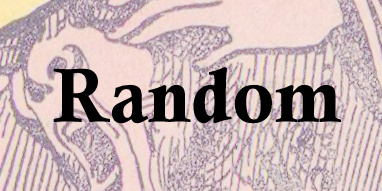 For way more amazing Russian examples, check out this post from the Charnel House, or for some more recent Bulgarian brochures, our own post from a while back..